What makes it special: The first generation of the GTO was a muscle car produced in the 1960’s and the 1970’s. 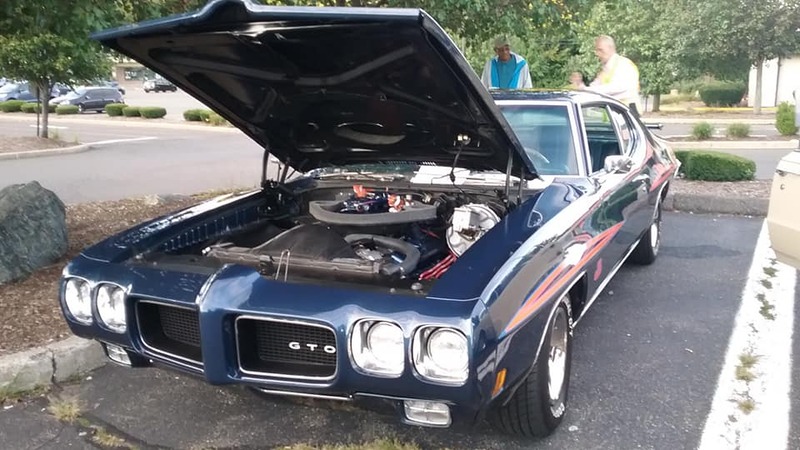 Although there were muscle cars introduced earlier than the GTO, the Pontiac GTO is considered by some to have started the trend with all four domestic automakers offering a variety of competing models. The GTO became a separate model from 1966 to 1971 (VIN 242…). It became an optional package again for the 1972 and 1973 intermediate Le Mans. What made it famous: For the 1970 model year, hidden headlights were deleted in favor of four exposed round headlamps outboard of narrower grille openings. The nose retained the protruding vertical prow theme, although it was less prominent. The GTO retained the Endura urethane cover around the headlamps and grille. As originally conceived, the Judge was to be a low-cost GTO, stripped of features to make it competitive with the Plymouth Road Runner. The package was more expensive than a standard GTO, and included Rally II wheels without trim rings, Hurst shifter with a unique T-shaped handle, wider tires, various decals, and a rear spoiler. Pontiac claimed that the spoiler had some functional effect at higher speeds, producing a small but measurable downforce, but it was of little value at legal speeds. The Judge remained available as an option on the 1970 GTO. The Judge came standard with the Ram Air III, while the Ram Air IV was optional. Though the 455 CID was available as an option on the standard GTO throughout the entire model year, the 455 was not offered on the Judge until late in the year. Orbit Orange, which was actually a bright canary yellow became the new feature color for the 1970 Judge, but any GTO color was available. Striping was relocated to the upper wheel well brows. Why I would want one: It’s a special variant of the GTO, and is just cool. Fun fact: The name came from a comedy routine, “Here Come de Judge”, used repeatedly on the Rowan & Martin’s Laugh-In TV show. The Judge routine, made popular by comedian Flip Wilson, was borrowed from the act of long-time burlesque entertainer Dewey “Pigmeat” Markham. Advertisements used slogans like “All rise for the Judge” and “The Judge can be bought”.